Many families have cherished heirlooms, but some are finding the most comfort and beauty in the time-worn recipe cards of the past. 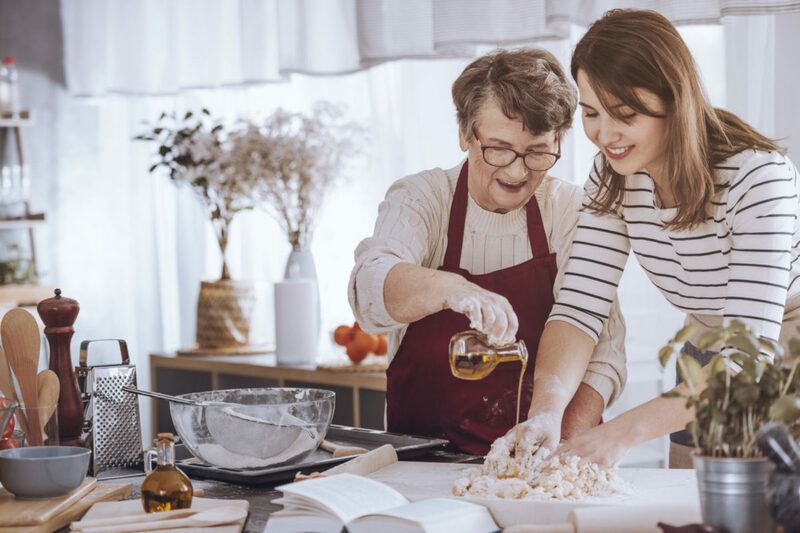 Whether it’s old bread recipes from your grandmother or a popular casserole recipe developed by your mother, these foods transport you to a different place and time, and those memories are made even more special when it’s written in your loved one’s handwriting. There’s a beautiful practicality to these everyday treasures, but how can you be sure to preserve them, and create your own, as you prepare to walk down the aisle and merge two families into one? We’ve got the perfect solution! As a wedding shower activity or wedding guest book, why don’t you celebrate both of your families’ heritage through food? 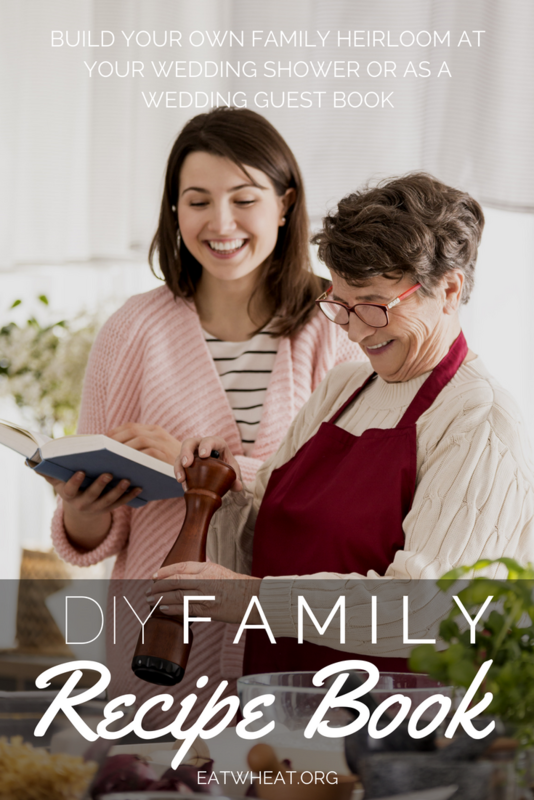 Ask guests to bring recipes for their favorite family dishes (yes, even those with *top secret* ingredients) and assemble them into your very first family recipe book! To add an extra element of fun, set up a little photo booth and take everyone’s photo with an instant-print camera (like the Fuji or Polaroid versions) and slip it in with their recipe! Once everyone is finished writing their recipe, go around the room and have everyone talk about the recipe they brought! That way you know the history behind your new meal staples. These same ideas can be applied for your wedding guests! Include the recipe template and directions along with your Save the Dates or Wedding Invitations (and it may not hurt to send gentle reminders to folks’ emails, as well.) Since you’ll probably want to get the party started at the reception instead of having a writing party, request that these be either printed or handwritten on your template ahead of time. For those forgetful souls who may forget their portion, have a small laptop and printer set up to search and print an internet recipe that they think you and your new spouse would enjoy! Don’t forget: It still would be fun to have photos of your wedding guests along with their recipe entry! Have an attendant run a photo booth and make sure all your guests have their fun photo taken and ready to add to the recipe. Be sure to have everyone sign their contribution to your new family recipe book! Now you won’t have to rely on photos and a dusty guest book (that you’ll *probably* never look at again) as your record of your special day, but you can instead remember them every time you’re looking for a quick, weeknight meal or a delectable potluck dessert! 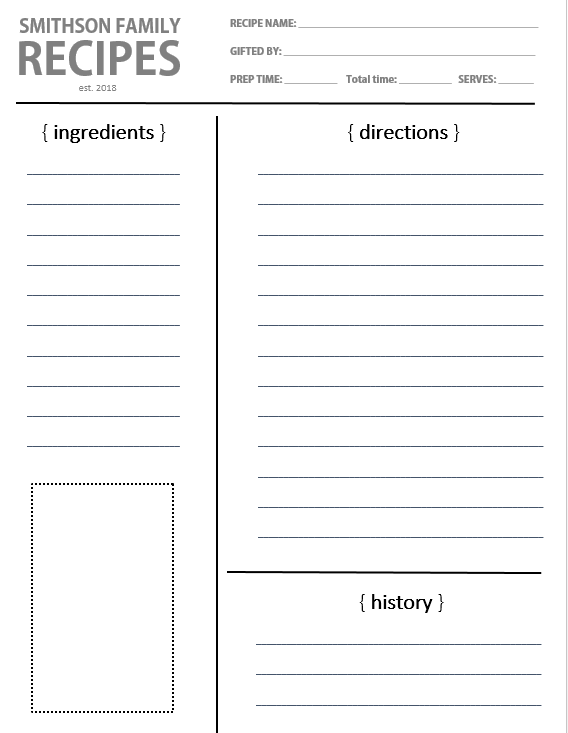 We have several different editable recipe sheets for you to choose from! Some feature an area for pasting a quick instant photo that you can snap of the recipe giver at your chosen get-together! Need some great inspiration for some new family favorite recipes? Try these great Cheeseburger Pockets! Or would you like to learn more about the wheat that you eat? Take a look at this cool Farm to Table infographic from Texas Wheat!